How to add a cleaning fee to your Airbnb? Go to the Your Listings section. At the top of the page, you’ll see Pricing. Click it. Right next to Cleaning Fee, you’ll see the Edit button. Click it. Put in your cleaning value. Don’t forget to click Save before leaving. Do you have to clean Airbnb? An Airbnb rental property is no different than any other rented lodgings such as a hotel or a hostel. Not only is it a place where people are going to eat, sleep, relax, and socialize, but they’re paying to do so, so they’re going to expect a certain level of service. It goes without saying that this service needs to include a high level of cleanliness. And when we say “high”, we really do mean it. Guests have deliberately chosen your Airbnb over, for instance, a hotel, and they’ll feel betrayed and disappointed if their choice turns out to be crummy and unkempt. Should you clean your Airbnb vacation rental yourself? It’s theoretically possible to keep your Airbnb place in top cleanliness yourself, but it’s not advisable. For one, it takes too much time and effort. Second, many hosts make the critical mistake of assuming they can clean their Airbnb same as they’d clean their own home. This is simply not good enough as your guests will literally expect hotel-level cleanliness. Even a few stray hairs or a small stain on the bed sheets can make them give you a negative rating, resulting in your Airbnb becoming less attractive to future guests. Don’t fall into this trap. Having your Airbnb cleaning conducted by respected cleaning professionals is crucial to running a successful vacation rental business. How do I share my Airbnb calendar with cleaners? So you’ve decided to hire a pro cleaning service to take care of your Airbnb cleaning needs. Great decision! But how do you avoid the headache of trying to keep your cleaner informed about each check-in and check-out for every single booking? By sharing your calendar with your cleaner, of course. Google Calendar is free to use and available to anyone who has a (free) Google account. First, use the built-in Airbnb options to sync your Airbnb calendar with your Google Calendar. Second, share your Google Calendar with your cleaner. Voila, you’re done! This way, your cleaner will always be able to check out all the bookings and dates from their phone. Where to find the best Airbnb cleaning service in Big Bear, CA? You’ve already found it. 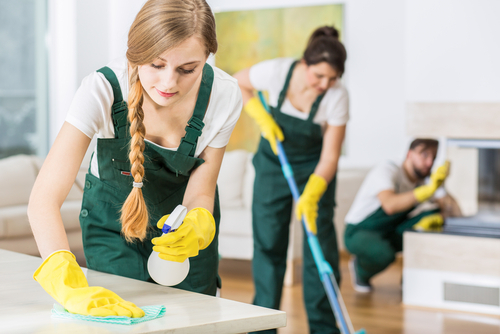 Oasis Natural Cleaning is a locally owned business that will match you with qualified cleaners who can render first-rate Airbnb cleaning in Big Bear, CA, as well as a slew of other commercial and residential cleaning services. Our quick and easy online booking form can be completed in less than a minute. Furthermore, the cleaners we work with are well-versed in the use of environmentally friendly cleaning products that have been fully endorsed by reputable organizations such as the EPA. 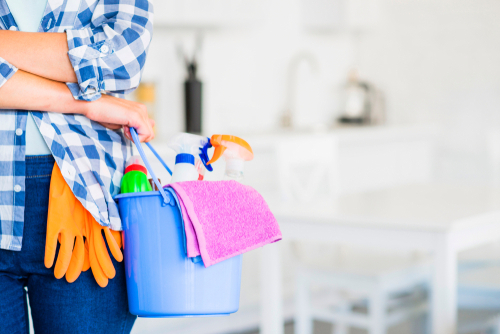 If you want to schedule a cleaning or ask further questions, feel free to contact us today.